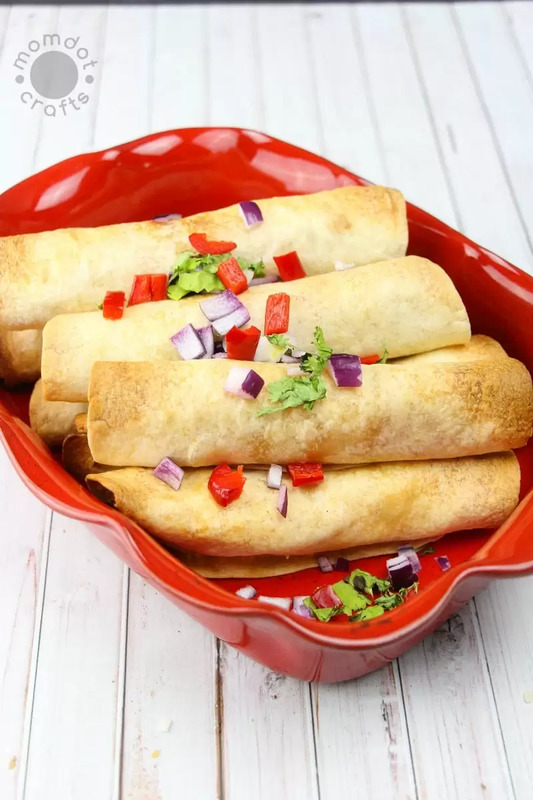 When it comes to family meal time, we can all have a different palette around here. My kids like mac and cheese, hot dogs and chicken fingers and Chris and I will eat about anything BUT that. 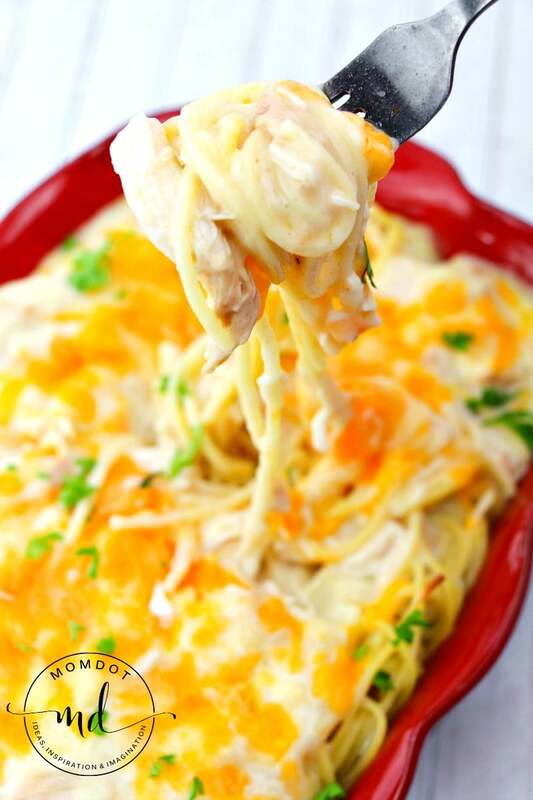 But when it comes to cheesy chicken spaghetti bake, it’s a meal that the whole family can say YES to! 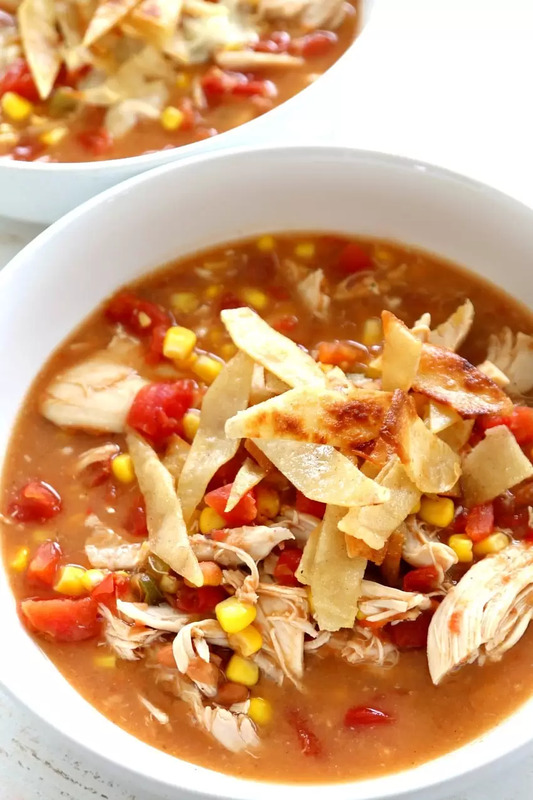 With ooey gooey cheese, the light refreshing taste of sour cream, and soft shredded chicken, it doesn’t take long to put a homemade meal on the table that everyone is digging in for seconds. 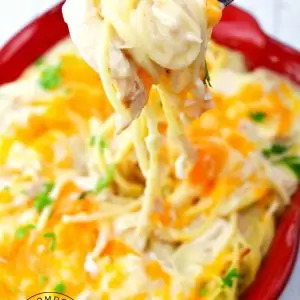 While this cheesy chicken spaghetti bake recipe isn’t technically a slow cooker recipe, you can premake the chicken in a slow cooker, which makes the baking time the only thing you need to do when you start your recipe. Once pasta is cooked, drain and rinse, then return back to the pot. 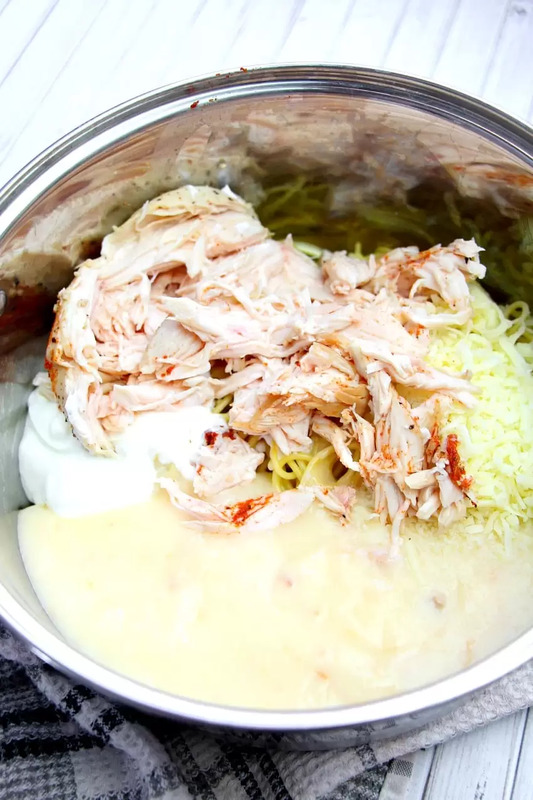 Add shredded chicken, cream of chicken soup, sour cream, 1 cup of the Mexican cheese blend and seasoning to taste. Stir well to combine and then pour into your baking dish. 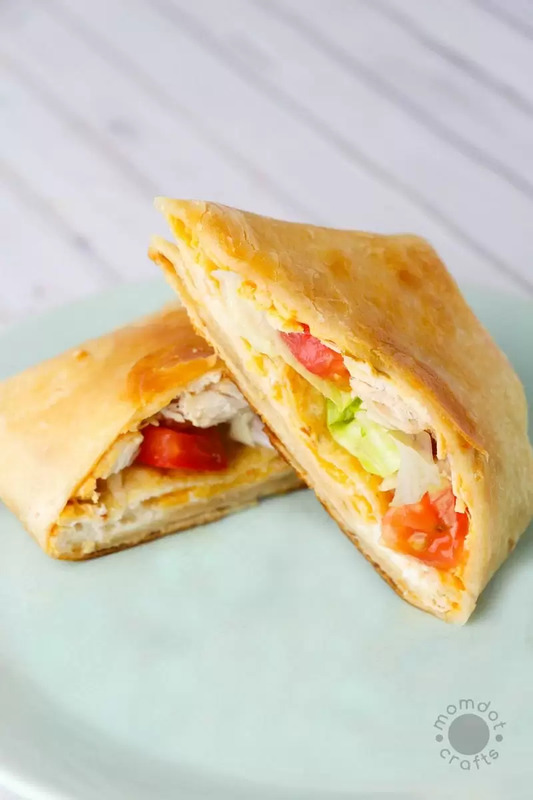 Top with additional 1/2 cup cheese, cover with tinfoil, and then bake for 20-25 minutes. 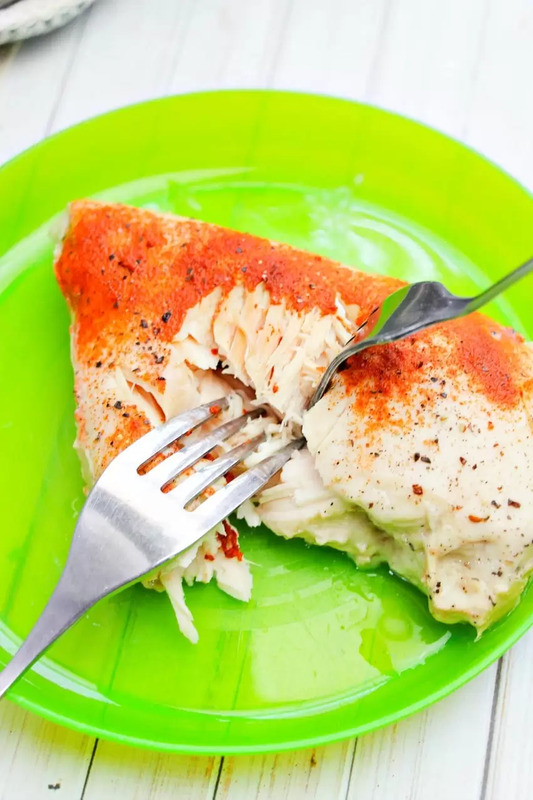 Remove from oven when cheese is fully melted and sprinkle with fresh parsley. 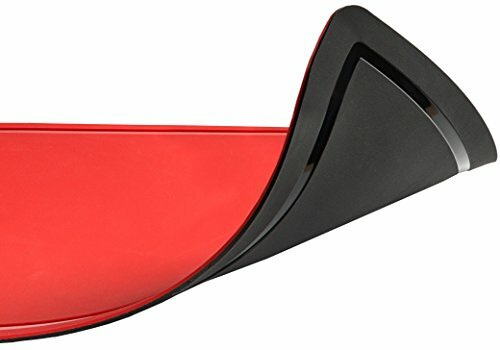 Kitchen Gizmo 2 Sided TPU Anti-Bacterial Cutting Board, Thick Yet Flexible, Knife Friendly, Scratch Resistant, Non-Slip, Juice Groove, Dishwasher Safe, Antimicrobial and FDA Approved (Red/Black) PRO TIP: Every time I am working with raw chicken, I honestly get grossed out. We all know how sick it can make someone to be exposed to what it leaves behind. I love these Kitchen Gizmos– its a cutting board that takes away the worry!